I like to travel cheap and because of this, I always try to avail the promo fares available from the local airlines in the Philippines. Whenever I plan my travels, I always scour the websites of Cebu Pacific, Philippine Airlines, Air Philippines and Zest Air for promo fares. Time is very essential in availing Cebu Pacific promo fares because the competition is stiff. This is why you must make yourself informed of Cebu Pacific promo fares at the very moment that it is announced on Cebu Pacific website. To get timely updates on Cebu Pacific promo fares, I suggest that you subscribe to their Seat Sale Alert, which allows you to receive timely updates through e-mail. 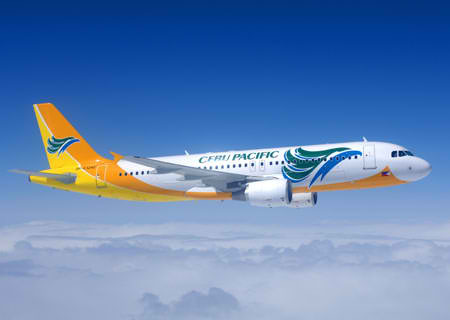 You can also follow Cebu Pacific on Twitter and Facebook. As I had said, the competition for Cebu Pacific promo fares is stiff that's why you must grab the promo fare that you want the moment that you see it. Slots for Cebu Pacific promo fares are limited and slots may be gone in a matter of minutes. If you are a frequent flyer, then it is good if you create an account in Cebu Pacific website. This will remove the hassle of filling out the forms for personal information whenever you book for Cebu Pacific promo fares. 4. Keep your credit card ready. Availing Cebu Pacific promo fares is better if you book your flight online rather than going to Cebu Pacific's ticketing offices. Since it is online booking, then having a credit card is useful. If you don't have a credit card, then you can ask your friends or relatives that have credit card to book you for your Cebu Pacific promo fares. Some people are asking if is necessary to bring the photocopy of the credit card and the ID of the credit card holder to be shown to Cebu Pacific personnel before boarding the plane. Some clients of Cebu Pacific said that there is no such need while others say that hassle may be prevented by bringing those photocopies. I believe you better call the Cebu Pacific customer representative about this. If you don't have any access to credit card, then you must use other payment options offered by Cebu Pacific. You can pay your Cebu Pacific promo fares using your ATM card. However, banks that are affiliated with Bancnet are the ones only allowed to use this payment option. You can also book online and pay over-the-counter at Banco de Oro (BDO). This is what I did on one of my trips. You can also pay over-the-counter at MetroBank, Robinsons Savings Bank, LBC, Bayad Center and Pacific Ace Bank. Booking Cebu Pacific promo fares is easy. What is hard is to get the Cebu Pacific promo fares before the slots are all taken. All you need is to be updated at all times so you can beat the competition in the fight for the Cebu Pacific promo fares. Read related article on how to avail PAL promo fares and Zest Air promo fares. Visit Before the Eastern Sunset and read about Bataan Death March. Image came from Fakhri Travel and Tourism Center. Thanks for these useful tips! It's true that the competition is very stiff. Una-unahan lang. Bawat minuto ay mahalaga tuwing may promo fare ang Cebu Pacific :-) And thanks for suggesting tip #3. I'm not a member yet but I'm gonna register soon. Hassle kasi mag-fill out ng forms lalo na kung madami kang passengers na i-bu-book. Naalala ko dati noong sinubukan kong mag-book. Nagpatumpik-tumpik pa ako, ayun naubusan ako ng slot sa Cebu Pacific promo fares. i have booked online and have paid over the counter thru banco de oro but my status on my booking info still says on hold. what shall i do? your help will be highly apprecited. The best thing that you could do is to call Cebu Pacific to verify if Banco de Oro processed your payment well. If Banco de Oro did properly processed your payment, then you ask Cebu Pacific why did they put your booking on-hold. When I paid with Cebu Pacific, I waited within 24 hours before the "on-hold" status was removed. Maybe they are processing your payment within the 24 hours. If you status is still on-hold when 24 hours passed since the time you paid at BDO. Then you must call Cebu Pacific. Just make sure that you have your proof of payment from BDO because it will serve as your proof that you paid for your booking. Ive always availed of cebupacs promo on my travels here and abroad! It's really awesome esp those times when there's no fuel surcharges yet, imagine 300 + php for a roundtrip ticket cdo to manila! Its a steal!! Now its not that low but its still 50-70% off the regular price.